Summary: In this novel a story of an agricultural countryside family is portrayed by Jane Smiley as he describes what happens when an old farmer, Larry decides to grant his land to his two eldest daughters Ginny and Rose. Initially, the story begins with a pig roast on a huge farm in Iowa, during which the head of the farm, Larry Cook retires and decides to donate the land to Ginny and Rose, the oldest two of his three daughters. The youngest daughter though, Caroline, refuses to accept the generous gift being a lawyer, thus infuriating Larry, and causing him to deny her right to receiving part of the farm. Coincidentally the two other girls willingly accept the gift because they have settled in on the farm for many years with their husbands and have ran the farm since they were young children. However, soon the girls realize that all Larry is trying to do is compete with the glory of his neighbor farmer, Jess, who competes with him over a better farm. Ego and pride drives Larry insane as his life falls apart, he begins buying random furniture, making adjustments and enhancements to the farm, buying new materials and going against his daughters Ginny and Rose, who turn against him eventually. What will happen in such a tangled dilemma and camaraderie, read this book to find out how an ordinary farmer turns into a classic fairy tale of ego and tyranny. I picked this book up because of the multiple great testimonies and comments written about the book. The book also seemed allegoric and meaningful so I thought I would give it a try and see how the book would turn out. I kept reading this book because I wanted to know what the three girls would end up doing to their insane father, and how the battle of ego would turn out by the end of the book. The novel kept on bringing up new and exciting tricks and pranks that the family played together. I would give this book to anyone who enjoys family and analytic stories of the true nature of human beings. I would give this book to anyone who enjoys exciting stories that keep people thrilled and eager to find out what happens next. Summary: Asa is a young boy growing up on the Minnesota prairie shortly after the Civil War ends, “in the shadow of the Great Sioux War.” His family isn’t warm or loving and has suffered many hardships. The most recent hardship has been the locusts that have come every year and devour everything in sight including every living crop that they must grow to live. When Asa’s Aunt Hazel comes to live with the family, Asa instantly develops a relationship with her and begins to learn the terrible history that is lurking always in the background of their family life. Caleb, Asa’s father, and Hazel came to Minnesota with their family, leaving the South and slavery behind. They move to a farm situated across the river from a band of Dakota Sioux. The family befriends the Indians and the children play with one another. Hazel teaches some of the Indians English and they share folklore, both Dakota and German. When a young Dakota girl commits suicide after mysterious circumstances and a government payment to the Indians is delayed, the Indian prepare to take revenge. When the Indians finally attack the town and outlying farms, the results are horrendous. Hazel is captured but survives by trying to become Dakota. Caleb fights with the small army of soldiers from the fort and when reinforcements arrive, they are able to capture the warring Indians. The 37 warriors held responsible for the uprising are hung for their parts, including the young warrior who had become Hazel’s husband. Asa loves hearing Hazel’s stories of the past but when she begins to suffer again from the epilepsy that had kept her institutionalized for so many years, Asa’s mother threatens to send her back to the hospital. Asa takes off alone to find medicine for Hazel and almost dies. When Caleb finds him and brings him home, Hazel is already gone and it is only then when Caleb tells him the rest of the story. Why I picked it up: This was a 2013 ALEX Award Winner, the award given to adult books with young adult appeal. I wanted to read it because it is historical fiction and it might be a good book to suggest to students. Why I kept reading it: I have always been interested in this time period and Asa’s family are German immigrants, much like my family. The Sioux Uprising was much overshadowed by the Civil War and it is somewhat ironic that the federal government was fighting to free slaves and make them equal but at the same time putting Indians on reservations and treating them as less than human. Who would I give it to next: I would give this to anyone who like historical fiction, especially those that are interested in Native Americans. Well-written, researched historical fiction is a great way to learn history. Summary: The storyline is an intertwining of Tom Sherbourne and his wife Isabel’s life after they decide to raise a ship-wrecked baby as their own and the life of the baby’s mother and how each react when they find out about each other. Why I picked it up: It was my choice for the Book Club assignment for AP Lit over December break! 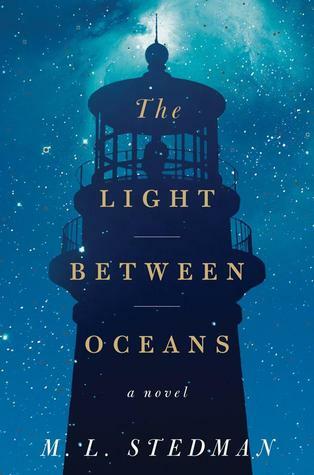 Why I kept reading it: I needed to find out what would happen to each of the characters (whether they would accept or deny the truth and new revelations) and think more about how to judge the actions of two opposing sides when each side is so morally gray. Who would I give it to next: Anyone! But particularly freshmen; they’re more likely than other high school students to be at the point where it’s hard to take into consideration the consequences of one’s actions and acknowledge that there are more perspectives than one’s own. Summary: Sequel to Cassandra Clare’s previous work, Clockwork Angel, Clockwork Prince is the second book in the enthralling The Infernal Instrument series. This book takes place in Victorian London, starting off some times later after the incidents of the first book. 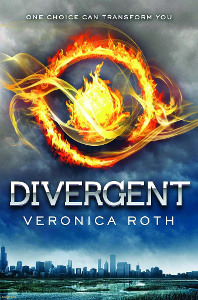 Tessa, the main protagonist, has finally found safety within the Institute, but troubles with the Clave, might force her back unprotected into the streets. Also an enemy known as the Magister, whom claims he knows Tessa’s heritage, desires to use Tessa’s power for his own deeds. With the help of Jem and Will, two handsome boys whom each claims a part of Tessa’s heart, Tessa discovers the truth of her parentage and the Magister’s motive. Why I picked it up: It is the sequel to Clockwork Angel. Why I kept reading it: The humor is very witty and enjoyable. I enjoy most of the character’s personality and the banters between them are hilarious. Who I would give it to next: Anyone who has read the author’s previous books or something for leisure. Summary: Every teenager is weird. Blue Sargent is just a bit weirder. First off, her name is Blue. She lives in a house full of psychics or feminists or both, most likely both. And she’s been told as long as she can recall that she has a curse on her: if she kisses her true love, he’ll die. Of course, by the time the story rolls around, Blue’s decided she’d never going to fall in love. But then she sees a spirit. And even though she lives in a houseful of psychics, she’s never had any sort of supernatural visions of her own. The spirit is the ghost of a boy who goes to the local private school, Aglionby Academy—a raven boy. She gets his name: Gansey. And then Blue goes on the hunt to warn him, because before the year ends, Gansey is going to die. Gansey, the son of old Virginia money, is much more than he seems. Sure, he has pocket change the size of Blue’s college fund, but he’s on a quest to find the Welsh king Glendower, who sleeps in the Virginia hills, waiting to be woken. There is a reward for the one who wakes him: one wish. The story tracks Blue as she meets Gansey and his circle of raven boys: Adam, a private school boy who isn’t made of money, Ronan, who has a secret that’s eating him up from the inside, and Noah, who is much more than he seems. Altogether, the story involves magic, curses, helicopters, guns, ghosts, visions, and murders. Not in that order. Blue learns about her past, Gansey about his king, and at the end, they all learn the meaning of sacrifice. Because to wake the sleeping king, someone has to die. Why I picked it up: The name on the cover was the first factor. Maggie Stiefvater. She wrote one of my favorite books, The Scorpio Races. There was some pretty cover art: painting of a raven, an interesting symbol. It didn’t seem like the shelves of books with covers of girls in prom dresses, so I could walk around with this book and not be ashamed of the cover. The plotline seemed odd from the summary. The premise was intriguing enough. But when it came down to it, the author’s name was the biggest factor. Because in Maggie we trust. And she came through with a good book. Why I kept reading it: The name on the cover was the first factor. Maggie Stiefvater. She wrote one of my favorite books, The Scorpio Races. There was some pretty cover art: painting of a raven, an interesting symbol. It didn’t seem like the shelves of books with covers of girls in prom dresses, so I could walk around with this book and not be ashamed of the cover. The plotline seemed odd from the summary. The premise was intriguing enough. But when it came down to it, the author’s name was the biggest factor. Because in Maggie we trust. And she came through with a good book. Who I would give it to next: The best thing about this book is that it’s not exclusively a girl book or a boy book. Boys or girls can pick it up and like it perfectly fine. There are guns and violence and quite a few punches, but there’s also magic, seeing into the future, and unraveling mysteries. It feels like Indiana Jones met Lord of the Rings and they weren’t quite sure how to get along. It’s a refresher from shelves full of exclusively girl-oriented or boy-oriented novels. I’ll give it to my brother and see if he likes it. Summary: A while after Clay’s classmate, Hannah committed suicide, a box of cassette tapes were sent to his house. On those tapes, Hannah speaks of the reasons why she killed herself. Each side of the tape is a story about a person who caused her to do this to herself. Why I picked it up: The name caught my attention. 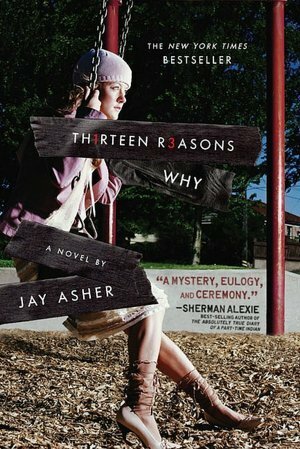 I first thought “Thirteen reasons of what?” and then when I read the summary I became curious what the reasons were so I wanted to read it. Why I kept reading it: I wanted to know all the reasons. I also wanted to know when the other main character, Clay would come up. He seems like he really liked her so I was curious why he would be a reason for Hannah killing herself. Also with each tape, it is clear that she is losing hope more and more and towards the end she just does not care about herself anymore because every time she thinks someone cares about her, she gets betrayed in some sort of way. Who would I give it to next: Any teenager. I would not say every teenager can relate to the problems Hanna Baker had before she committed suicide, but I am sure there are many teenager who go through or went through similar experiences.